Agabe Tequilana is a company rich with experience and tradition in both, the cultivation of agave and the production of fine tequila. During the late 19 century our great great grandfahter, Don Pedro Camarena, pioneered the widespread growth of agave in the region of Jalisco, México, known as "Los Altos" likewise, his tavern in Acúmbaro, a district of Jesús María, Jalisco, became the distillery of tequila in the area. After five generation, we continue to follow a traditional style tequila production process preserving the original techniques used over a century ago. Today, we are proud to offer a smooth, 100% agave tequila that is part of our family heritage. Regimiento, Hotel California, Torrente, Diablo, Caminante, El Olvido, Oro Azul, Texas, El Tajo, 1921, Mi Maria Bonito, Aha Toro, Aha Yeto, Herencia Mexicana and Don Alejo. 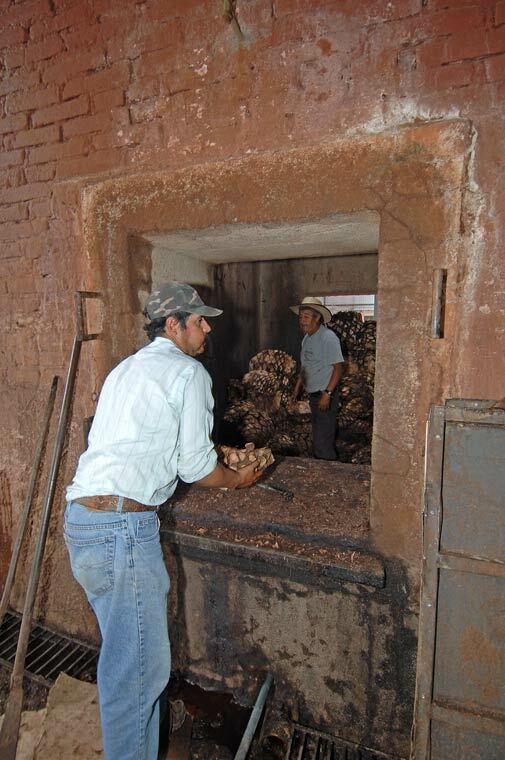 Unloading oven (horno) after the agave has been cooked and cooled. 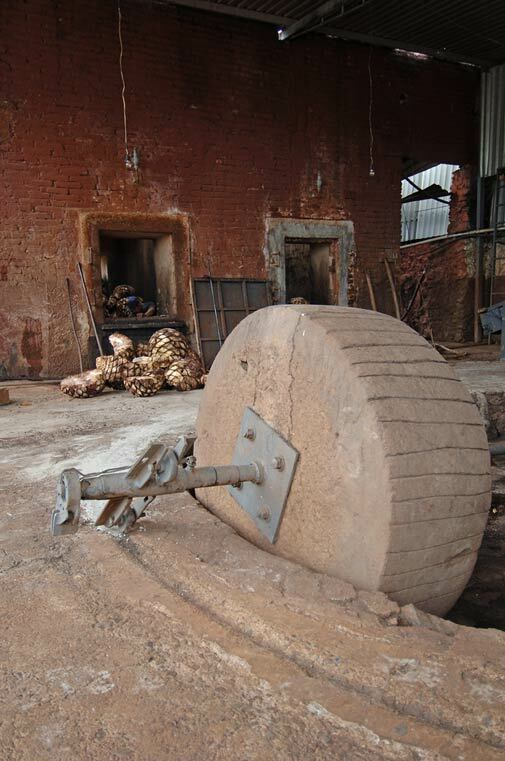 An old stone tahona, no longer used, still remains in the processing area. 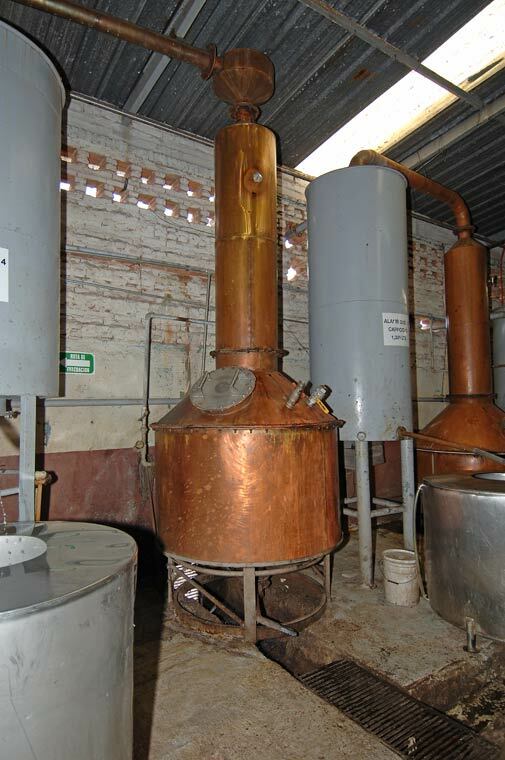 Traditional copper alambique used to distill mosto into tequila. 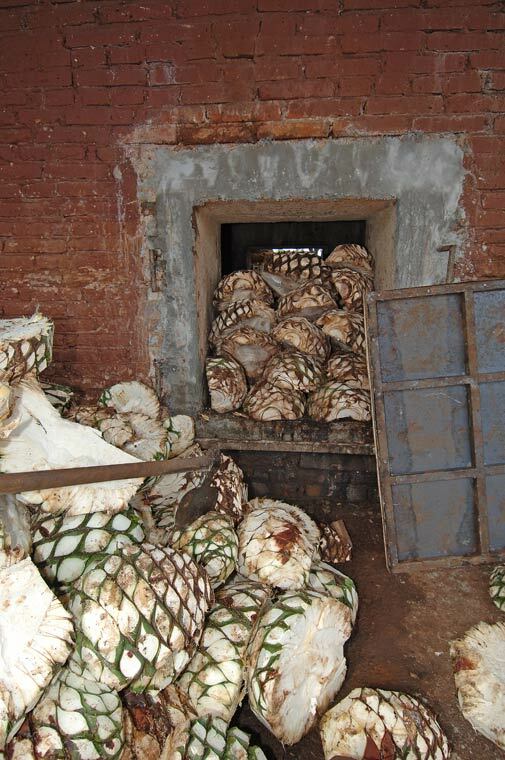 Raw agave hearts, cut in half, are loaded into adobe ovens to cook.